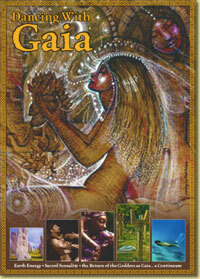 We are pleased to announce that we have completed making the retail DVD's of "Dancing With Gaia". We think it is beautiful. The DVD "Extras" include 23 minutes of rare footage of Monica Sjoo, Francesca De Grandis and Fred Adams that didn't quite fit into the movie. It is even more precious since Monica and Fred have both passed away. The DVD is packaged with a 44 page color booklet introduced by Buddhist teacher Ruth Denison, a clear explanation of some of the methods and ideas in the movie, and some entirely new material. Both for $19.95 plus shipping. You don't need a PayPal account, you can pay by credit card. Just press the "Buy Now" button, then on the next page, press the link which says "Don't have a Paypal account?" 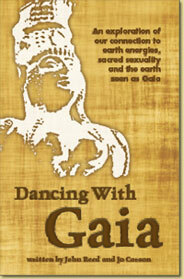 If you would like, send us an email here with "Dancing With Gaia" in the subject line, and we will keep you updated on special events and further screenings.